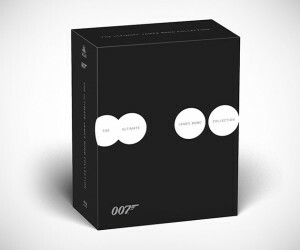 Get shaken and stirred by this classic collection, all of the 007’s in one Blu-ray box-set. The Ultimate James Bond Collection boasts 23 films, leaves space for the upcoming Spectre and includes a whole heap of bonus features and footage including a movie poster book and a 90-minute documentary which spills some of the secret agent’s secrets. 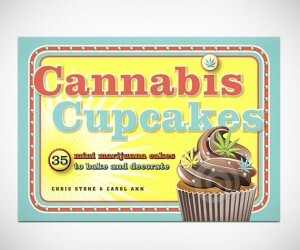 Boasting a host of recipes that incorporates everything from Snickers Muffins to Chocolate Fudge Frosting and Toxic Red Velvet Cupcakes with Cream Cheese Icing, Cannabis Cupcakes: 35 mini Marijuana Cakes to Bake and Decorate combines gourmet flavors and simple recipes, all using that most versatile of substances. Let the viscous cycle of munchies begin. The Ultimate Deck takes a cheap hand of poker and turns it into a work of art with a one-of-a-kind collection of provocative masterpieces. 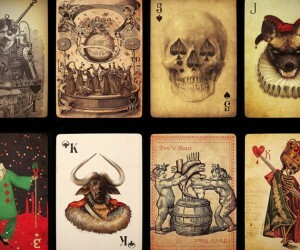 This fifty-four card collection was created by a design agency, and each card has an ornate and individual backing. The tuck case is embossed with foil highlights. When you see the quality, you’ll know when to hold ’em.